Dr. Thomas Swan is a published physicist who received his Ph.D. in nuclear astrophysics from the University of Surrey. The exquisite natural artistry that distinguishes each of Hubble's snapshots of the universe exposes the vast wonders of the space, and the myriad treasures that await humankind's exploratory journey into its depths. 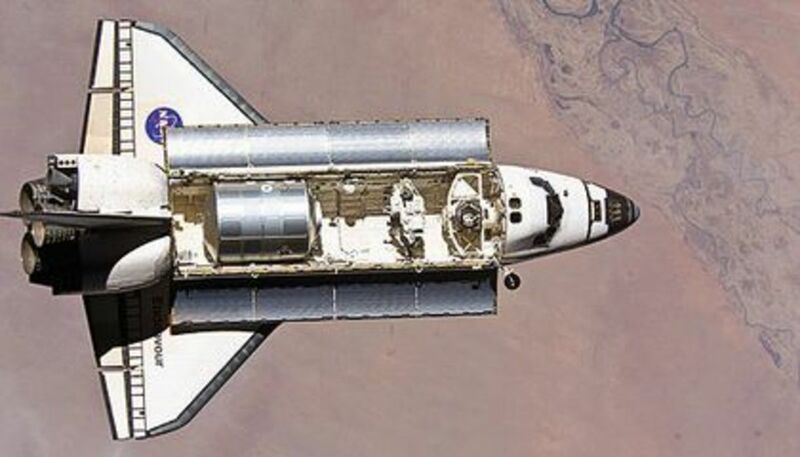 The Hubble Space Telescope was launched in 1990 aboard the Space Shuttle Discovery. It is 13 meters long, 2.4 meters wide, and weighs 11 tonnes. It has been observing cosmic structures with its on-board cameras for more than two decades. 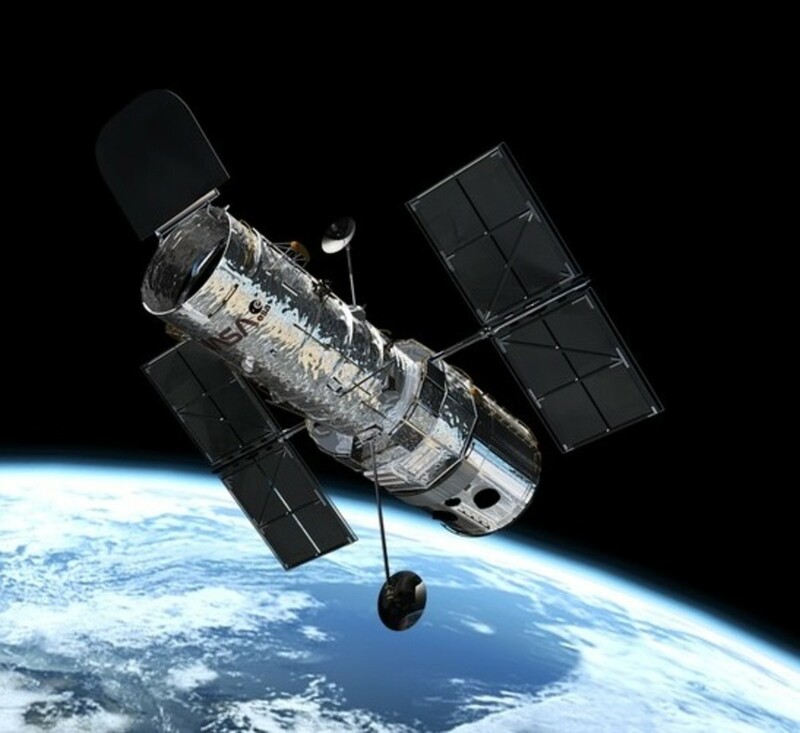 The Hubble Telescope's discoveries have surpassed our expectations, and impelled a greater understanding of the cosmos. We now have an age for the universe (13.8 billion years), and have discovered that it is expanding at an accelerating rate. Hubble has found that black holes reside at the center of most galaxies, extrasolar planets exist around many stars, and stellar nurseries and protoplanetary disks epitomize the nascency of star systems such as our own. From neutron stars to supernova explosions, Hubble has been our window into the universe. 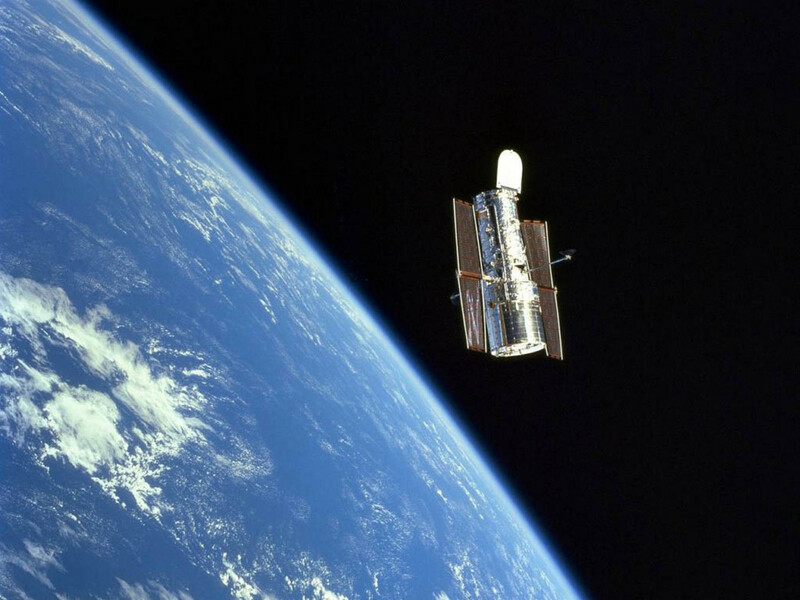 Courtesy of NASA and the ESA, this article will provide the ten best Hubble Telescope pictures. As with every list of favorites, this is a personal assessment, but one which I hope you will enjoy! This spiral planetary nebula has a striking resemblance to the number two! 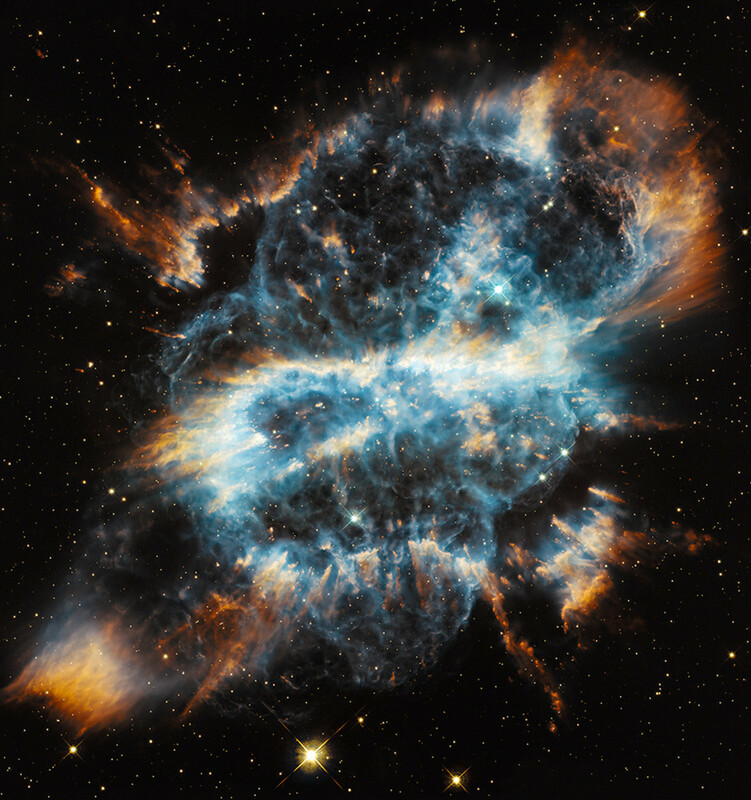 Planetary nebulae form when stars reach the end of their life. As if choking on the remnants of their dwindling fuel, medium sized stars (such as our Sun) will expel large quantities of their outer layers into space. The material becomes heated by the stellar core, producing glowing, nebulous clouds. The strange pattern is thought to be formed by a hidden, orbiting star exerting a gravitational pull on the mass ejections. The dying star will eventually collapse, living out its remaining days as a super-dense white dwarf. A light year is the distance travelled by light in a period of one year. Light covers 300,000 km every second (186,000 miles per second), meaning that within a year it will travel 9.5 trillion km (5.9 trillion miles) or, in scientific notation, 9.5 x 1012 km. The nearest star to our solar system, called Proxima Centauri, is 4.2 light years away. Thus, its light takes 4.2 years to reach us. Sometimes called the `Eye of God', the Helix Nebula is only 700 light years from the Earth and is about 2.5 light years wide. To capture this inclusive image, the Hubble Telescope was used in conjunction with the Cello Tololo Observatory in Chile. 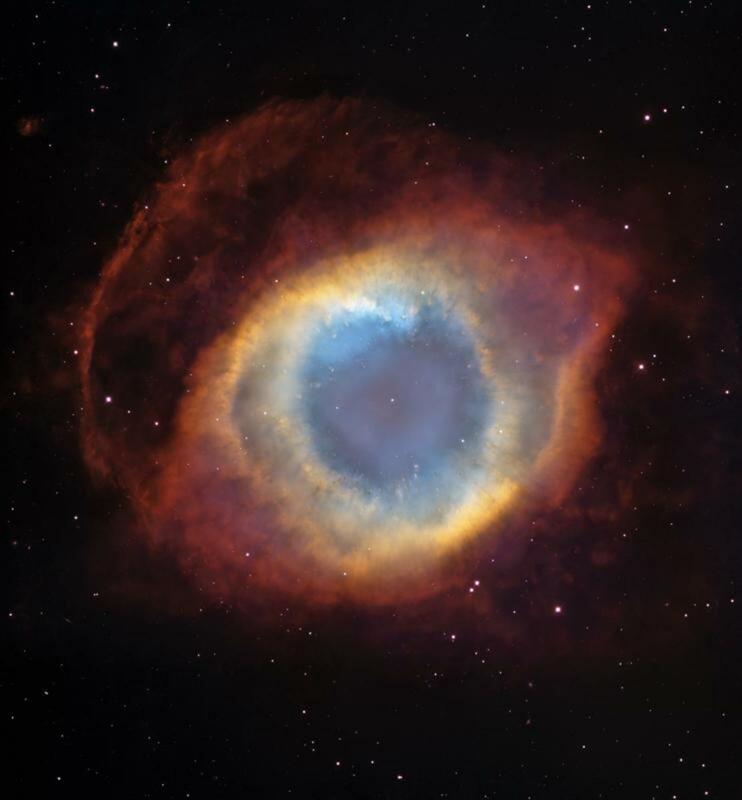 The Helix Nebula is a planetary nebula with an expansion rate of 31 km per second, and an age of around 10,000 years. The stellar core is particularly hot, giving the surrounding gases a bright glow. The core will eventually become a white dwarf star. 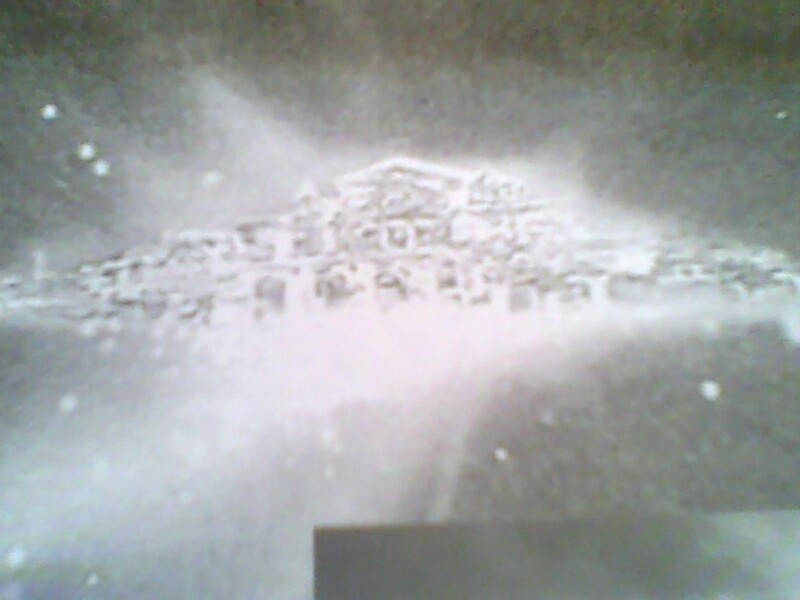 There may be a second disk, perpendicular to the one we can see, which may have been created by the presence of a second star. When particularly large stars die, the stellar core will collapse under its own gravity, leading to expulsion of the outer layers in a violent explosion called a supernova. 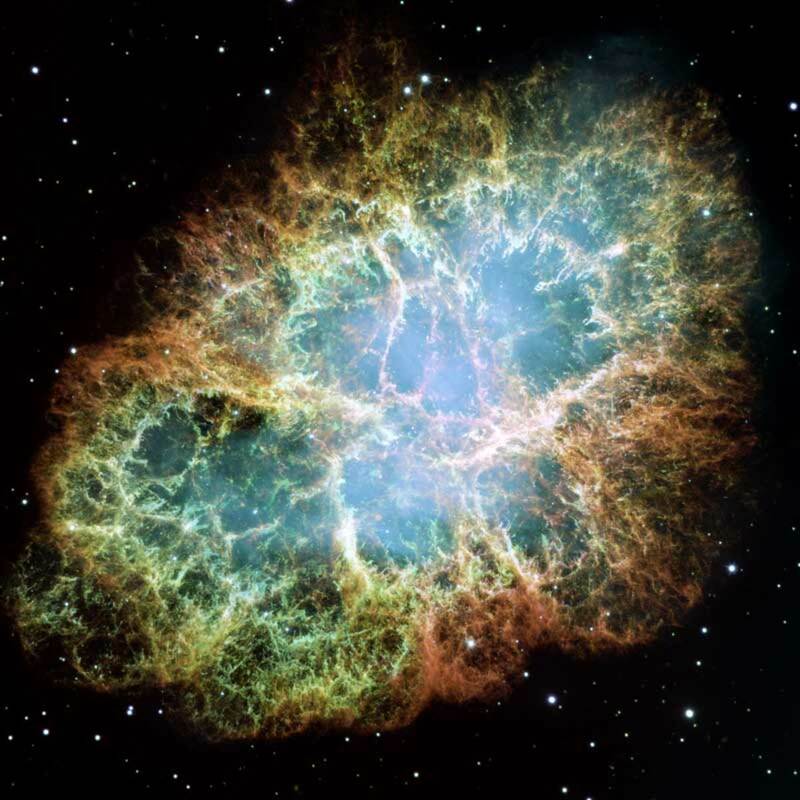 The Crab Nebula is a supernova remnant that is expanding at a rate of 1,500 km per second. 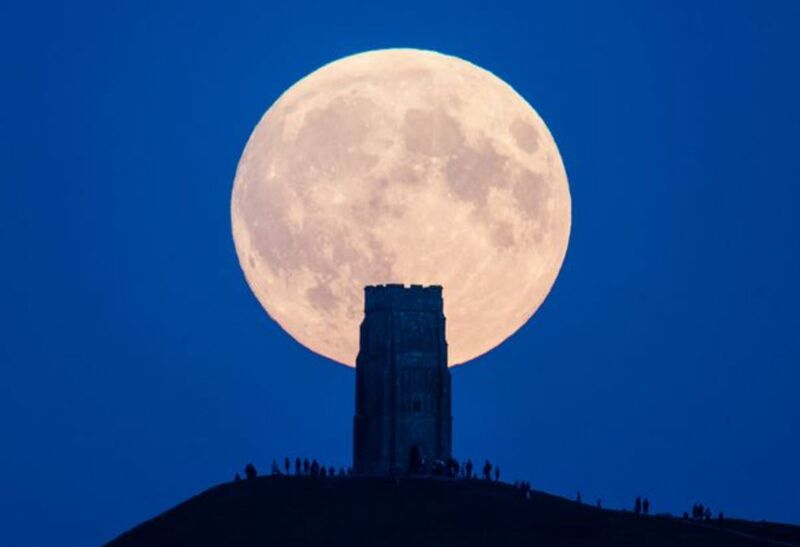 It was first recorded by Chinese astronomers in 1054 who noticed a bright flash in the sky. John Bevis discovered the resultant nebula through his telescope in 1731. It exists within the our Milky Way galaxy at a distance of 6,500 light years from Earth. The stellar core has become a neutron star called the Crab Pulsar, and is a strong emitter of X-rays and gamma rays. 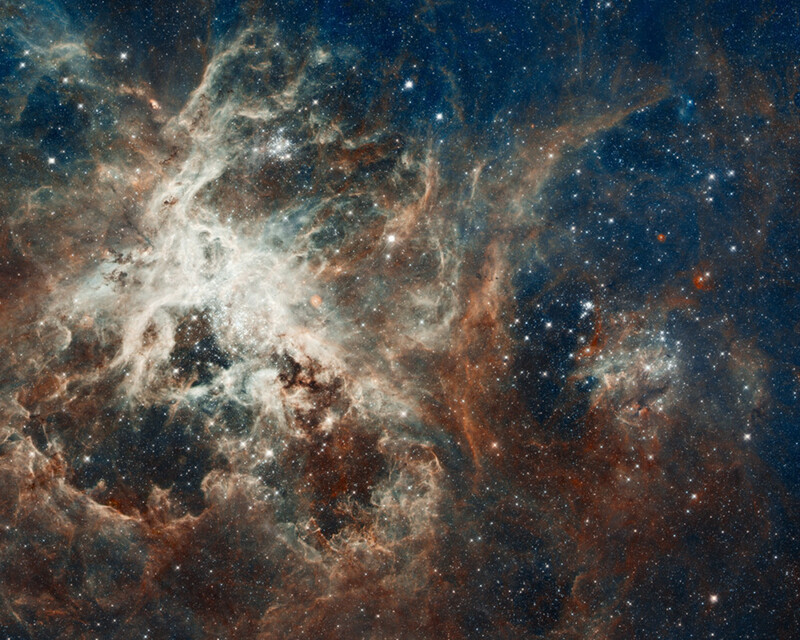 At a width of 600 light years, the Tarantula nebula is the largest star-forming region in the local region of space. Also called 30 Doradus, it resides within the neighboring galaxy, the Large Magellanic Cloud, at a distance of 160,000 light years from Earth. It is so bright that if it were within our own galaxy, it would cast shadows on Earth. The large glowing fibers that meander through the nebula resemble spider's legs, giving the structure its name. The wispy clouds are caused by the radiative pressure of massive stars, which blow the hydrogen gas in all directions. Thus, many stars in the nebula are visible to Hubble. 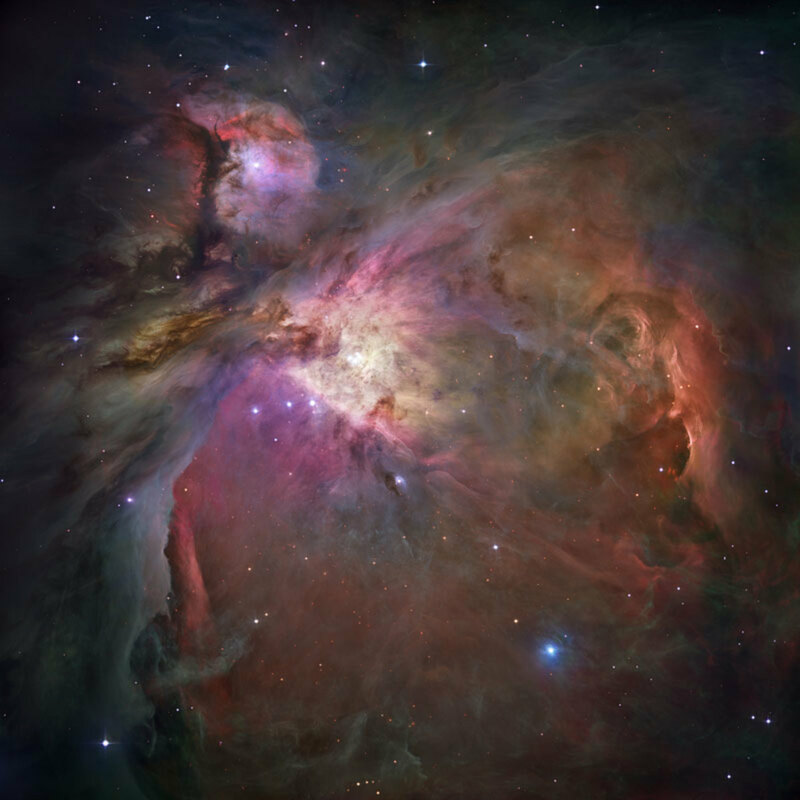 The Orion Nebula is 1344 light years from Earth and 24 light years wide. It appears slightly south of Orion's Belt and is visible to the naked eye.The nebula is a stellar nursery with approximately 700 stars in the process of formation. Upwards of 150 protoplanetary disks have been observed, revealing the regularity of star system formation in the universe. The nebula is known for its variety of colors. The red coloration is caused by heated hydrogen gas; and the violet by reflected radiation from large O-type stars within deeper regions of the nebula. The slight green coloration is caused by heated oxygen gas interacting in a way that can only occur in deep vacuum. These colliding spiral galaxies were discovered in 1835 by John Hershal, though the Hubble Telescope took this picture of NGC 2207 and IC 2163 in 1999. They are presently two separate galaxies, but in a billion years they will become a single elliptical galaxy. The larger galaxy, NGC 2207, is currently `tidal stripping' stars and materials from the smaller galaxy. They are approximately 81 million light years from Earth. 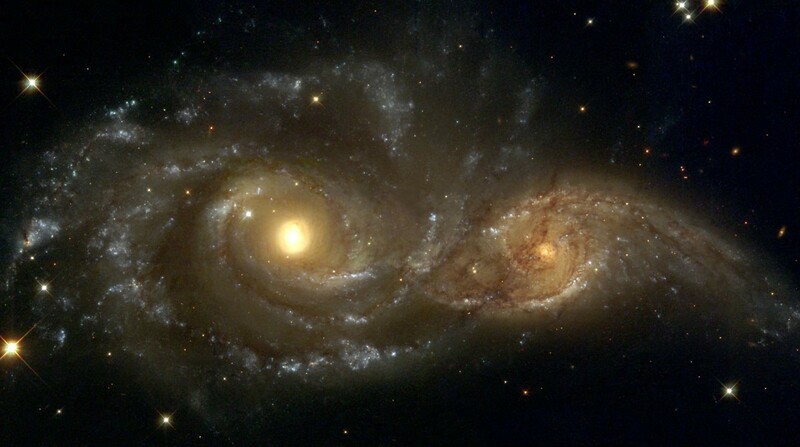 Collectively known as Arp 273, the larger of these two galaxies is called UGC 1810, and the smaller is UGC 1813. 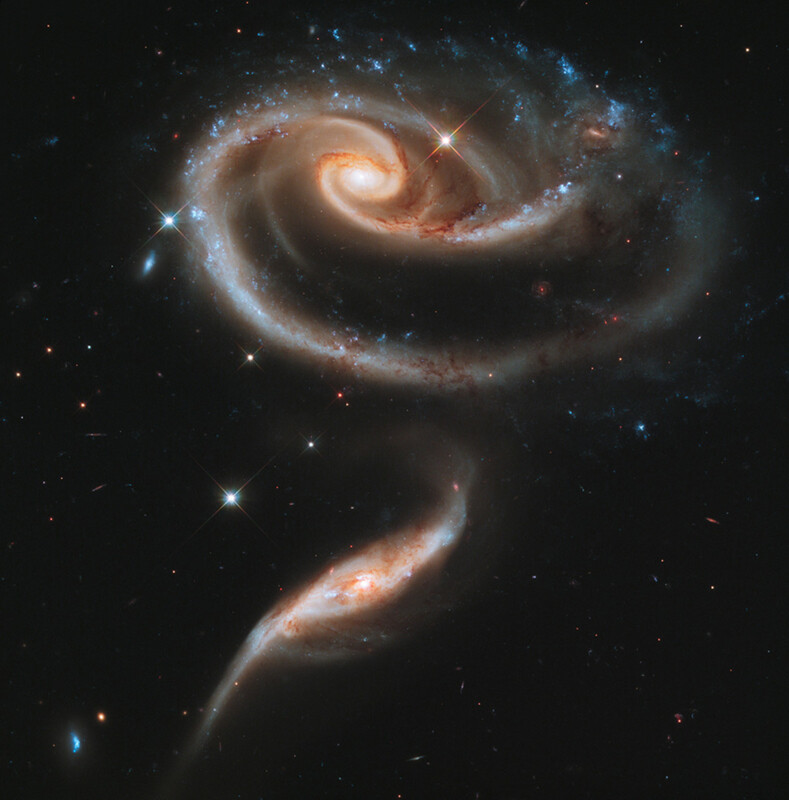 Together they resemble a beautiful rose at a distance of 300 million light years from Earth. It is theorized that the smaller galaxy passed through the larger one, with their gravitational interaction causing it to align vertically in the picture. This interaction may also explain the downward drift of the larger galaxy's outer spiral arm. 3. Hubble Extreme Deep Field, Galaxies Galore! 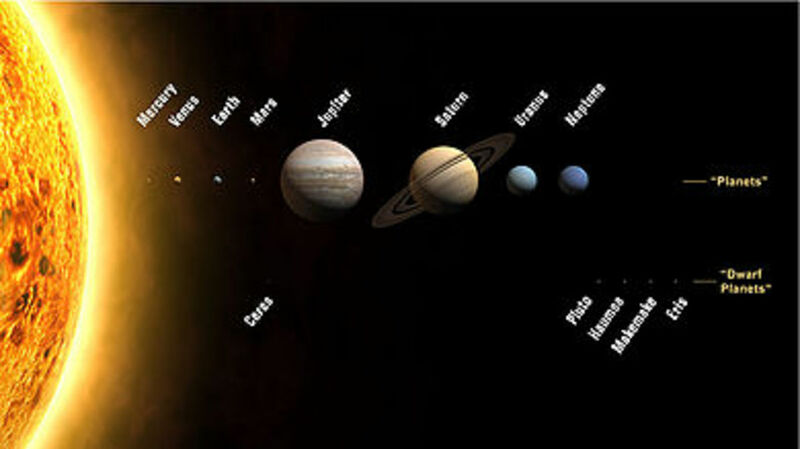 NASA and the ESA released this picture in September 2012. It might not look like much, but each of those points of light is an entire galaxy containing billions of stars. There are about 15,000 galaxies in the image with the faintest being one ten billionth of what the human eye is capable of visualizing. 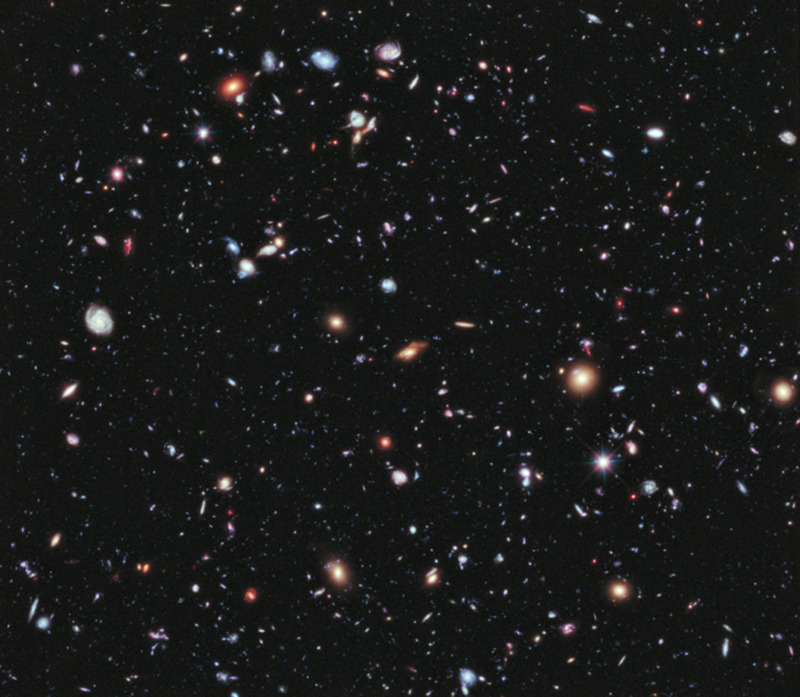 To capture this `extreme deep field' (XDF), the Hubble Telescope focused on a small point in space for 23 days. Light from the farthest galaxies had been travelling for 13.2 billion years before reaching the telescope, meaning the XDF is a view into the earliest billion years of the universe's existence. The Carina Nebula is 7,500 light years from Earth and is four times larger than the better known Orion Nebula. 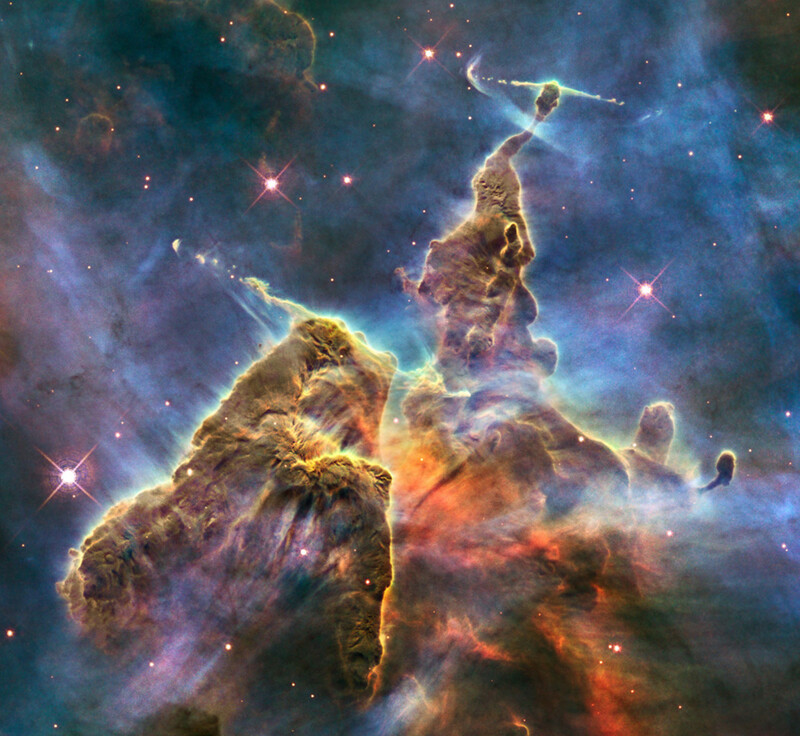 This portion of the nebula is called Mystic Mountain because of the extraordinary pillars of gas. It is a region of intense star birth, with several O-type stars already formed (the hottest and brightest kind). Mystic mountain is a 3 light year high cloud of cool hydrogen which is being worn away by the radiative pressure of several stars within. 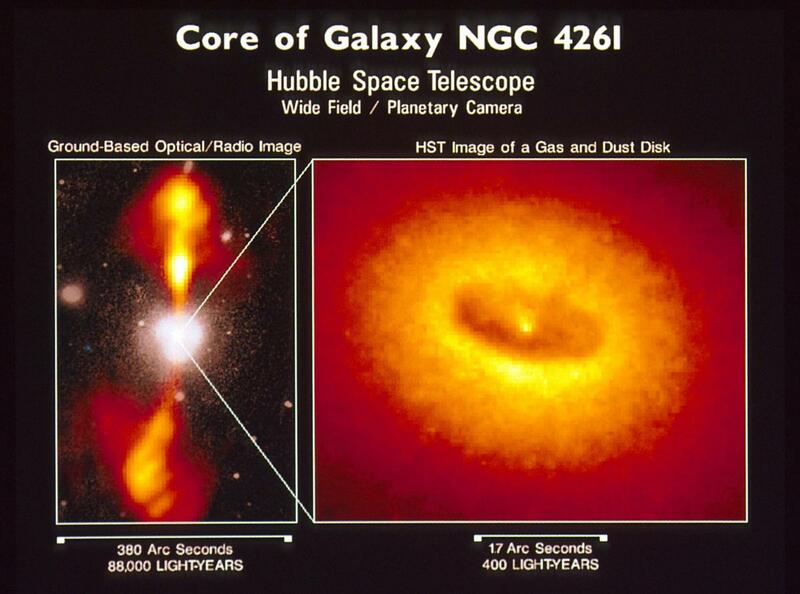 Powerful gas jets emitted from nascent stars stream out of the peaks. This beautiful spiral galaxy is about 23 million light years from Earth and has a width of 43,000 light years. 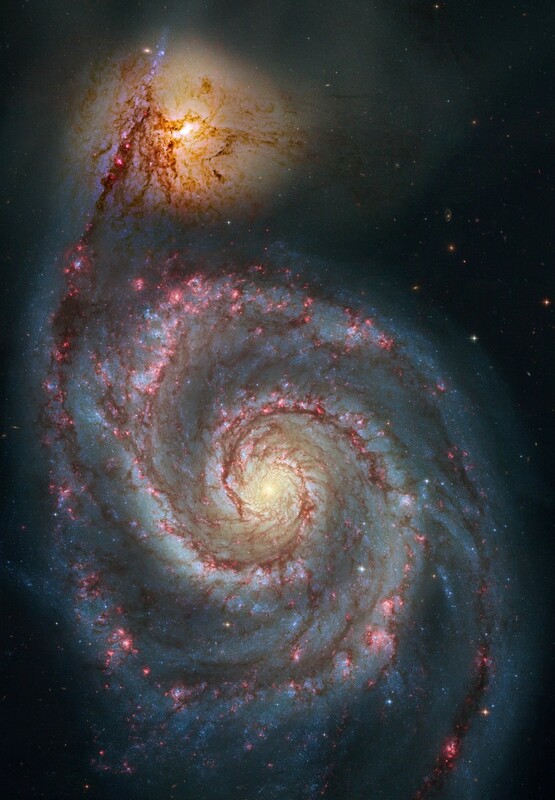 Seen here with its smaller companion (NGC 5195), the whirlpool galaxy can be easily viewed from Earth telescopes, and was discovered in 1773 by Charles Messier. The spiral structure is thought to be caused by a gravitational interaction with NGC 5195, which likely passed through the NGC 5194 disk around 500 million years ago. The spiral structure produces dense regions of hydrogen gas, leading to a high rate of star formation, and the glow of the spiral arms. The whirlpool galaxy is believed to have a black hole at its core. Many great images are accompanied by stories, and the narratives of exploding stars and tumbling galaxies provided by astrophysicists around the world can serve to spur the imagination further. Thus, I hope you enjoyed learning about these wondrous cosmic behemoths as much as I did! 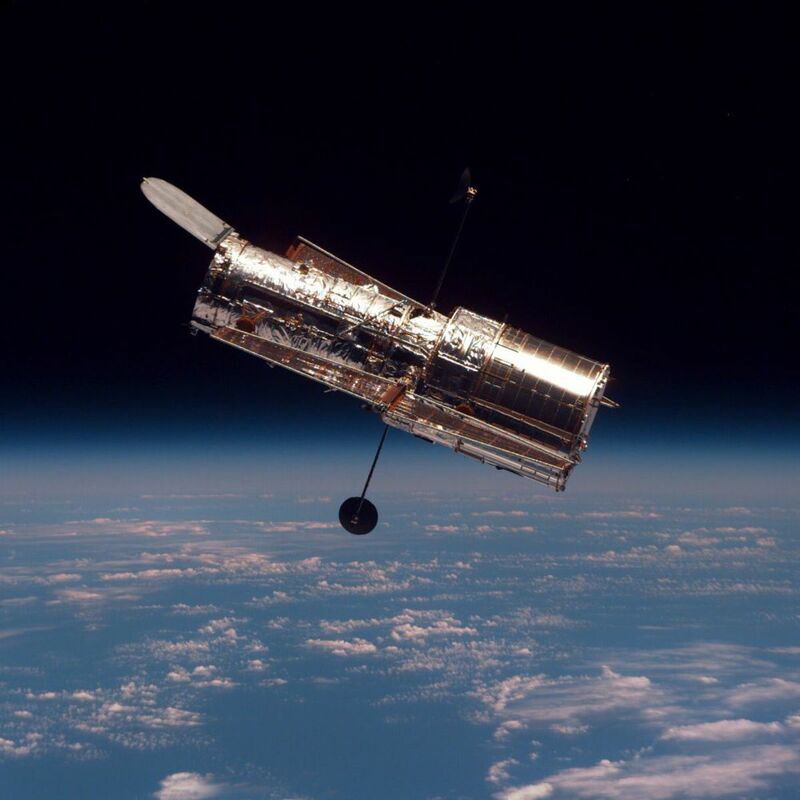 Thank you for reading and viewing this list of the top 10 best Hubble pictures. The selections were a matter of opinion, and you are welcome to make a case for other Hubble images in the comments section below. Thanks madscientist! You've picked a great subject in my opinion! Astrophysics is where it's at. I got pulled into the world of nuclear physics and just lost interest after my doctorate. Now I'm more into psychology. I liked your inspirational hub about physics education. Thanks for visiting! Cheers cydro! The Helix Nebula is a planetary nebula from a star that died and became a white dwarf, so not too surprising. It's great that such a beautiful nebula formed so close to Earth though! Yea, chemistry was good for me because I was a geek for remembering the different elements, but a couple of really awful chemistry teachers turned me off to the subject. I had a great physics teacher, and after reading `Cosmos' my mind was made up. I enjoyed your hub on moons by the way. Thanks for alerting me to your work with your comment here! I love this article! I'm majoring in Physics with a minor in astronomy and someday maybe I'll discover some celestial body or something! Great job and great photos! I can't believe the Helix Nebula is only 700 light years away. I thought nebulas were more sparse than that. I feel like we're similar people...I switched from chemistry to physics halfway through my college career. Thank you billdo1603, sparkster, and livingsta! Livingsta, I agree that astrophysics is where it really gets fascinating. To comprehend the full majesty of what we're looking at, we must know how big it is, how it became what it is, what it's made of, etc. Such direction is needed for one's imagination to truly flourish. I first became interested when I read Cosmos by Carl Sagan. Without that I probably would have studied Chemistry instead of Physics! Thanks for the vote, share and pin. Much appreciated! Awesome. Astronomy has always fascinated me. I took extra interest in astronomy after I read about the Black holes when in college. We had a unit on Astrophysics and that's when my enthusiasm grew and I did read some books, but over the recent years, I have lost touch. This one is a very interesting hub. The Helix Nebula, gosh looks exactly like an eye. Thank you for sharing this hub with us. Votes up, sharing and pinning. A beautiful and fascinating hub indeed. Wow! What incredible photos! That universe sure is amazing. Thanks for posting this Thomas Swan. Voted up and awesome!